Immense is the power of creative movements to balance the body mind and spirit. Categories: art, Artworks, Creativity, Health, hope, life, Life and Living, life education, Love, Metaphysical, motivational, Nature, Peace, Poetry, visualverses, wellness, Writing | Tags: # appreciation #nature, # artistry#Beyond, # artistry#creativity, # creativity#artistry#life#passion, # Holistic Education # Life &Living #Personal Development, # Mental Health, # Positive Approach # purpose, # way of being, #Appreciation # Gratitude #Contentment # Life skills #Social intelligence, #art #poetry #consciousness#Living, #creation #divinity #wonder #artwork #poetry, #Equanimity #Wellbeing, #Healing awareness, #Liife and Living, #living #wellness#Art of Healing #passion#, #Love #Respect, Art matters, Art. Muse, Arts, Arts. Therapy, Artworks, Creativity, dare, dedication, Dialogues for Peace, Education, emotions, Enrichments | Permalink. True words of wisdom and boundless energy, Savvy. Great post. 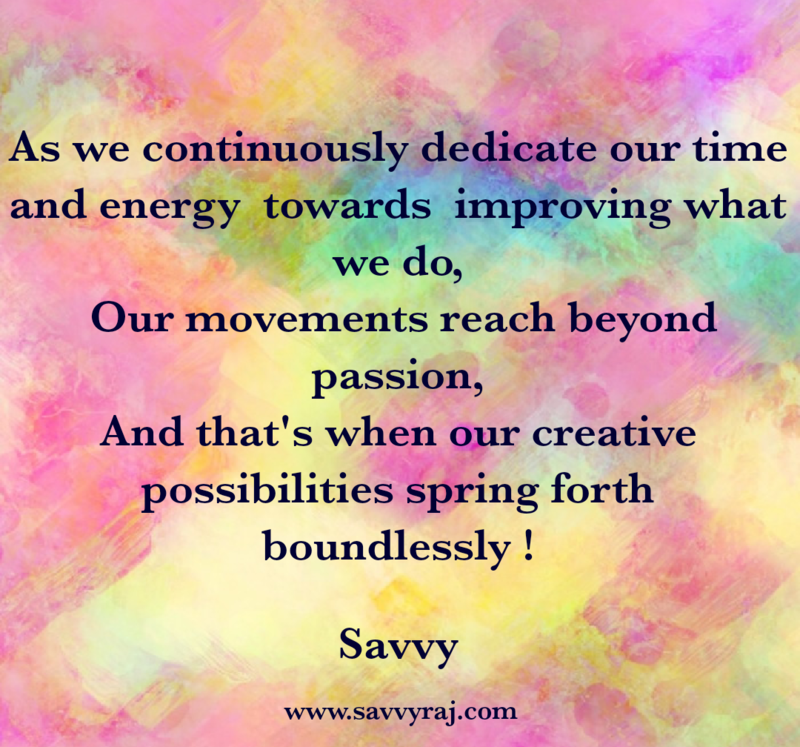 Welcome Savvy and same to you too have a wonderful day of joy and energy.